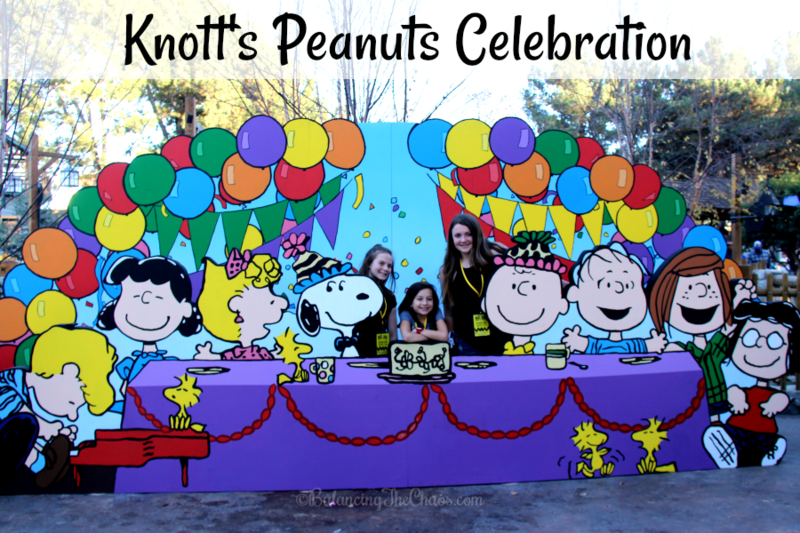 Kick off Knott’s Season of Fun with the Peanuts Celebration! 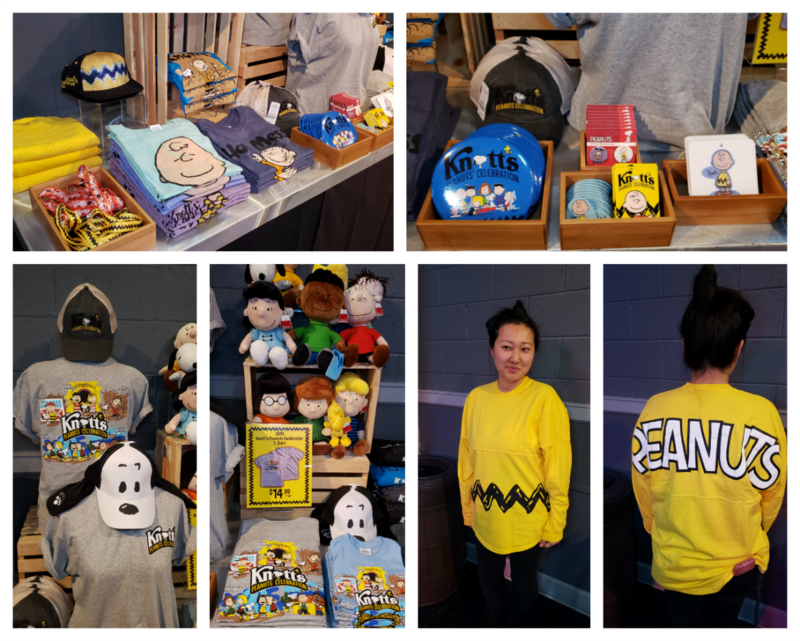 (AD) Knott’s Berry Farm kicks off its 2019 Seasons of Fun with the all-new Knott’s PEANUTS Celebration. 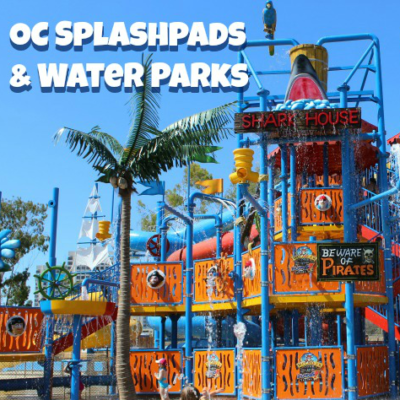 Families are invited to join Snoopy and the PEANUTS Gang in a variety of family fun. The park is all decked out with PEANUTS inspired décor, new character experiences, comic strip inspired photo opportunities, deliciously themed-treats and new whimsical shows. 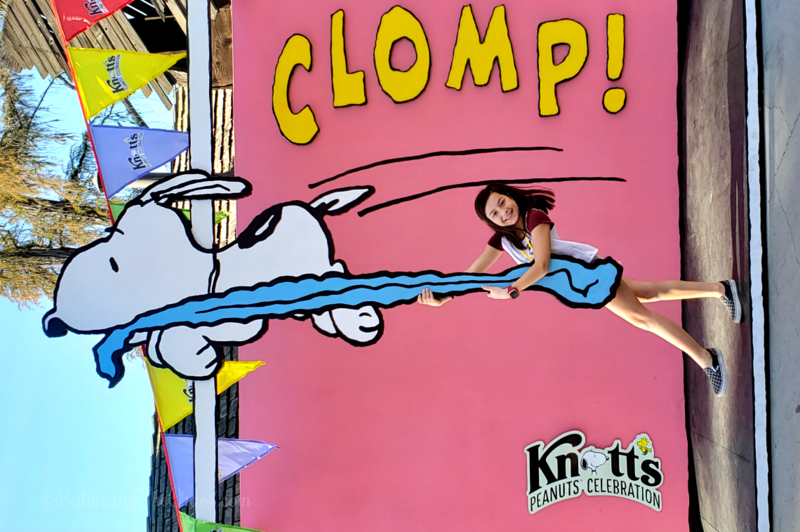 Experience the fun the Knott’s PEANUTS Celebration has to offer weekends through March 10, 2019, plus Presidents Day. Over the weekend we were invited to participate in the fun! The celebration will have plenty of surprises hidden around every corner. As we walked through the gates, we were excited at the numerous photo opportunities. We were excited to step into a PEANUTS comic strip. Such a good laugh – and memory! Camp Snoopy Theater: The Camp Snoopy Theater presents an all-new show: Space Beagle, featuring Charlie Brown and Lucy, as our beloved Snoopy becomes the first dog on the moon. Also in Camp Snoopy, the Grand Sierra Railroad invites families to celebrate with the PEANUTS Gang as they head to the Beagle Bonanza in this new ride overlay. Bird Cage Theater: We had the opportunity to learn how to draw Charlie Brown. Throughout the day, guests will have the opportunity to draw their favorite PEANUTS characters at the PEANUTS Sketch School. So easy to do, we followed step by step directions by a resident art teacher. Calico Park: The PEANUTS Cowboy Jamboree, Franklin and Linus on a Western escapade as they transform into cowboys. These silly boys are leading the fun and games in Calico. While we were there, the girls had the opportunity to play a game, where they were claiming their stakes of land – also known as musical chairs. In Calico, we stopped at the Livery Stable to visit Pig Pen and check out some of his favorite animal friends. Along the way, we had the opportunity to learn more about Knott’s resident donkey too. Calico Mine Stage: The fun continues at the Calico Mine Stage where the Peanuts gang have two musical surprises. During the day, Sally and Schroder are back this year with The Music Goes Round and Round where we were dancing to the music through the ages. In the evening, the stage transforms into a musical extravaganza with Woodstock’s Musical Festival. 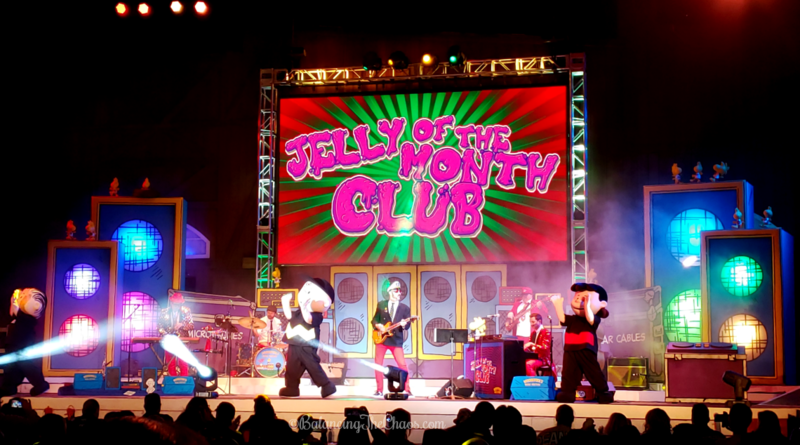 The musical event will feature the Peanuts Gang joined by the family-friendly indie band The Jelly of the Month Club, performing a high energy rock concert for the whole family. Fiesta Village: At Fiesta Village, we joined in with Spike’s Discoteca de Silencio, also know as the silent disco. It was so much fun! 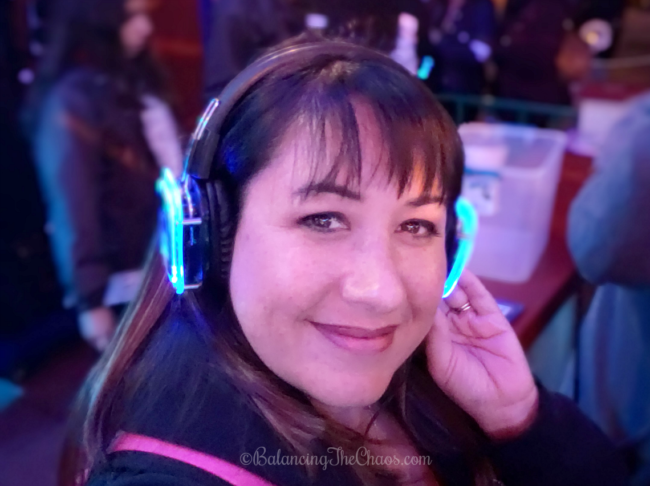 We grabbed a set of headphones and danced to one of three music stations belting out popular tunes from the 70’s, 80’s, 90’s on up current hits. Delicious Treats: During the Knott’s Peanuts Celebration, be sure to pick up some of the delicious sweet treats offered throughout the park. 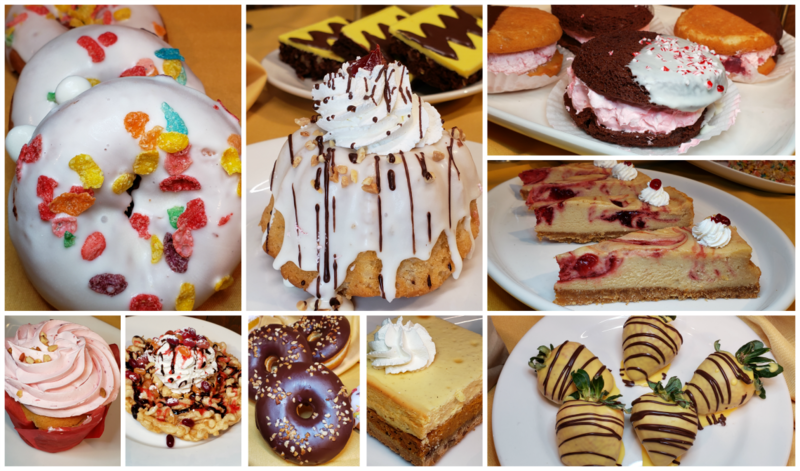 Jelly bean funnel cake, jelly filled peanut butter mini bundt cake, Snoopy donuts, peppermint patty moon pie, Charlie Brown chocolate covered strawberries, Fruity Pebbles krispies, Charlie Brown brownies, lemon bars and The Great Pumpkin Bar. The kids will be begging for more! How can you say no to any of it? Peanuts Merchandise: I loved walking through the park and seeing Peanuts merchandise everywhere. I kept picking out favorite shirts and sweatshirts wandering through the shops and people watching. During the Peanuts Celebration, commemorative shirts and goods are available for purchase throughout the park. All new this year, the Charlie Brown Spirit Shirt, that I’ve got my eye on. It’s adorable with PEANUTS across the back. 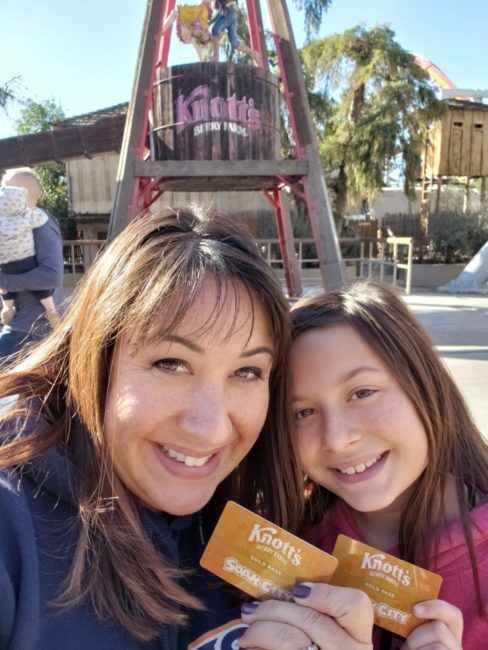 The best way to enjoy every weekend of the all-new Knott’s PEANUTS Celebration and all of the other Seasons of Fun is with a 2019 Season Pass. A Regular Season Pass includes unlimited admission in 2019 to Knott’s Berry Farm with no blackout dates, and a Gold Season Pass includes unlimited admission in 2019 to both Knott’s Berry Farm and Knott’s Soak City Waterpark with no blackout dates. Regular passes are just $98 or six easy payments of $15.50 and Gold Passes are $118 or five payments of just $18.50 after initial payment. These offers end April 28, 2019. Applicable taxes and fees apply online. Payment plans are only available at knotts.com. We just did it, and added parking as well as a drink pass. There are so many options, you just customize it to fit your family. 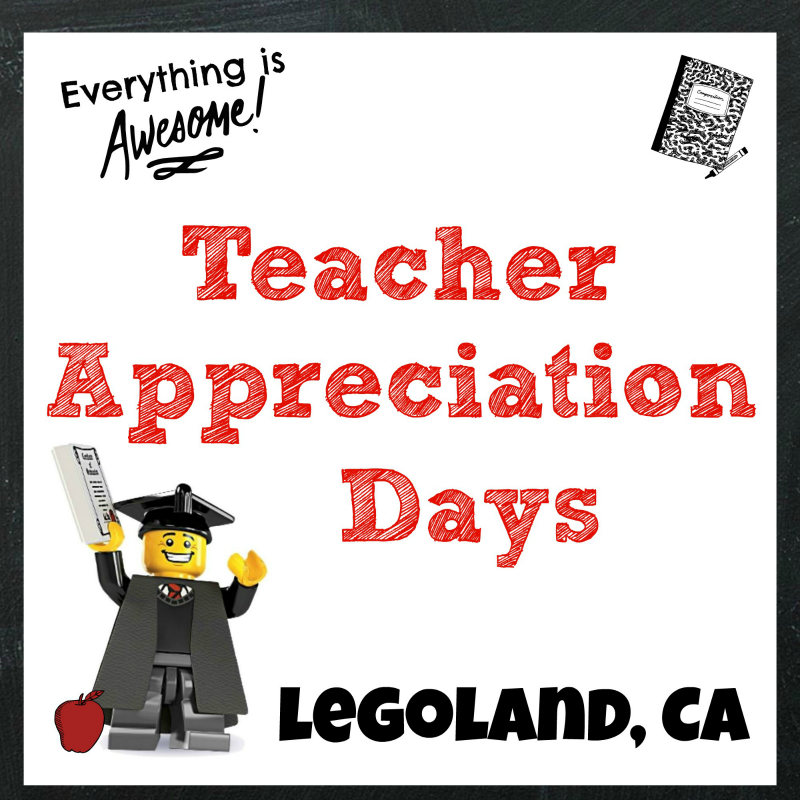 Join us and reserve your passes today at https://www.knotts.com/. wow! so much to do and see. 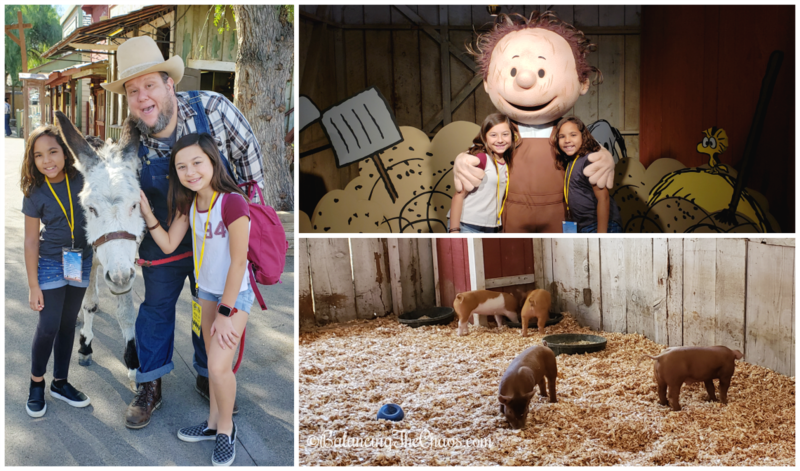 i’m so glad knott’s has stepped up their game and has added all these new experiences. i know my nieces will love this, and i have friends who would love to take their kids to this as well. thank u for the info!